In some parts of the United States, suffering hail damage to your vehicle is almost as likely as having to change a flat tire, so knowing a bit about how it affects your car is beneficial. In addition to requiring repairs, such damage can also lower the resale value of your vehicle. That’s why gathering some info on how it can hurt your Kelley Blue Book® price will enable you to ensure it doesn’t make too much of a dent. 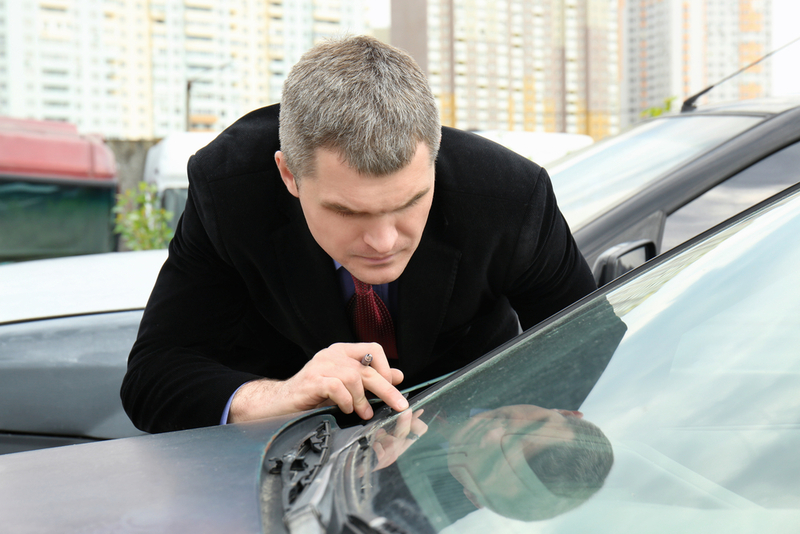 Minor cosmetic flaws can bump your car’s appraisal from “good” to “fair” quite easily. According to the Kelley Blue Book, one of today’s most-trusted sources for determining the value of used vehicles, a good car will have minor scratches, dings, dents, or blemishes; a fair one will have dents, scratches, or paint damage that need to be repaired. Ultimately, the extent of damage will determine your car’s overall value, but fixing it properly is one of the best ways to keep it from dropping after being in a hail storm. It’s important to note that even if your car looks as good as new after hail damage repairs, it doesn’t always mean that your resale value won’t be affected. Those with comprehensive auto insurance will often have some, or all of their repairs paid for by their insurance provider. But in these cases you’ll also need to report that damage to your insurance company. This information won’t appear on your car’s title, but it can still pop up on certain sites like AutoCheck®, or CARFAX®, and would then affect resale value. When your car is caught in a hail storm, there are some cases where its value is drastically affected, essentially totaling your vehicle. This means that the damage is so bad it’s actually considered cheaper to declare your car a loss rather than attempt to repair it. But different insurance providers have different standards for determining when a vehicle is considered a total loss, so checking with your insurance company is always recommended. Determining how hail damage has affected your vehicle’s exterior and resale value can be tough without the proper expertise. If you have additional questions about the process, Dings, Dents & Details in Lexington, KY, will be happy to share their insight with you. Specializing in everything from door dings to detailing services, they’ve become one of the area’s leading auto experts. Call them today at (859) 327-3464 or visit their website for a closer look at what they do.